The Vivo NEX 2 could be introduced on December 11th as the Vivo NEX Dual Screen. In China, the smartphone maker has released a few official teasers to its frameless phone. A leak indicates that the NEX phone could come with a dual display, 10 GB of memory, and 128 GB of system memory. Last June saw the presentation of the Vivo NEX, a large-screen mobile with ultra-reduced frames, fingerprint reader integrated with the panel itself and a retractable front camera that avoided the notch. The rumors about a possible second generation with double screen began a short time and had increased in recent days. The rumors and leaks to the Vivo NEX 2 are popping up. To complete the confusion, just before the release of the new NEX smartphone, Vivo once again boosts fans with a variety of teasers that currently speak only of a NEX dual screen. The company has published some teasers on the Chinese social network Weibo that confirm some features with which it was speculating – the Vivo NEX 2 will have two screens, an LED notification ring, and triple rear camera. The appearance of these images could mean that the presentation of this curious device is quite close. The Chinese manufacturer has officially confirmed some of its most important features through images, among which is a teaser suggesting the possible name of this model – Vivo NEX Dual Screen. If there is something that characterized the Vivo NEX that was launched in June was its huge screen without the notch, with a retractable front camera and with a fingerprint reader integrated into the panel, in the style of the one we saw in the Vivo X20 UD. For its successor, the Chinese company wants to go a step further and directly dispense with the front camera, maintaining the fingerprint sensor and the design without frames. Through a new publication on Weibo, Vivo talks about the next phone as a visual surprise, the next level of photography and a striking icon. The GIFs suggest that the Vivo NEX Dual Screen will be equipped with three features that were already assumed – double screen, triple rear camera and a moon ring, which will consist of an LED circle illuminated with RGB that shines to show notifications. 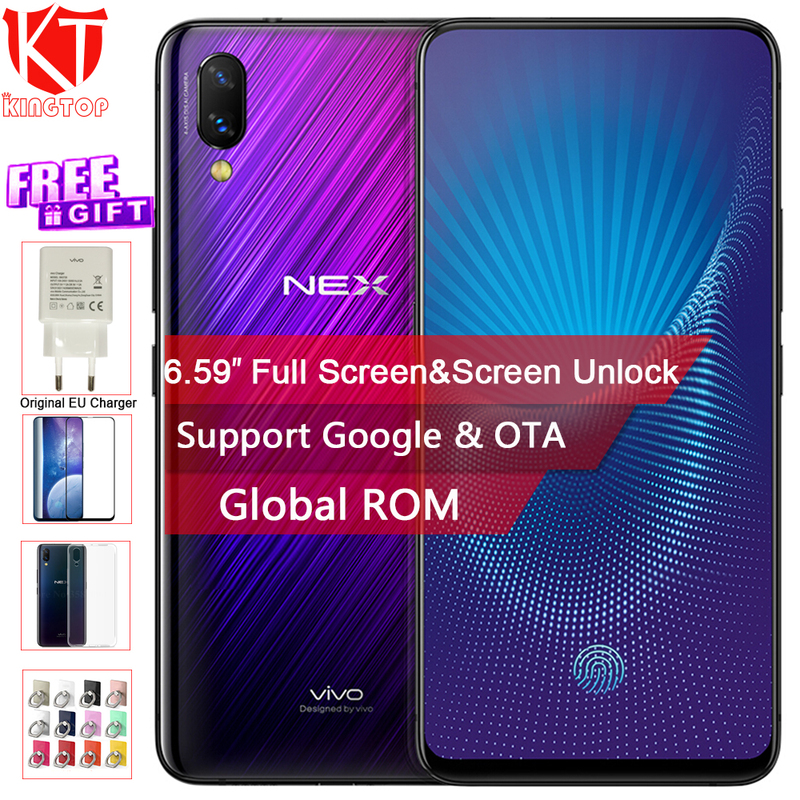 Kumamoto Technology has shared that Vivo NEX Dual Screen is the first smartphone of the company that can boast 10 GB of RAM under the hood. The leaked image would confirm the rumors that have been around for some time and also reports the presence of 128 GB of storage memory. Below, a model that would seem to depict the press release intended for the launch event of the Vivo NEX Dual Screen, which is expected to be presented on Dec 11. The brand did not want to give more details about the sizes of both screens or the configurations of the cameras, but it is speculated that the third lens will be a ToF 3D camera sensor. What is known is that it will have a fingerprint scanner integrated into the screen and will dispense with the front camera. The rear cameras could be used to capture selfies using the rear screen itself as a viewfinder. At present, there is no other information on the camera sensor as well as other configurations of Vivo NEX Dual. In any case, we will have to wait for the official launch to complete this data.